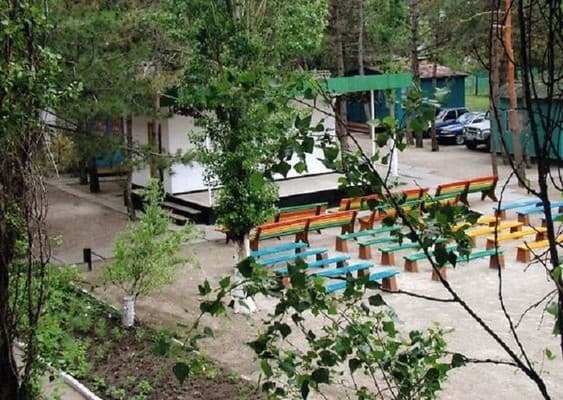 The boarding house "Nauka" is located in a pine forest, 100 meters from a wide sandy beach. The territory of the base "Science" is green and shady. There are 2 and 3-bed rooms, as well as three-room suites "Bastion" on the beach. Each room has a washbasin and a refrigerator, a hot shower and toilet are on the floor, and there is a hot summer shower in the grounds. 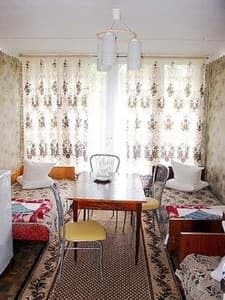 At the boarding house there is a dining room where the guests are offered home three meals a day, and at the bar "Bastion" (on the seashore) - delicious seafood dishes. 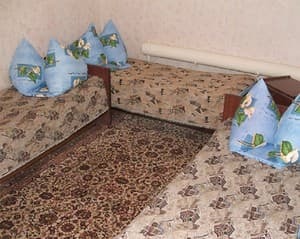 Description of the room: One-room in a three-story building is equipped with all necessary furniture. Facilities are on the floor, a summer shower in the grounds. Description of the room: One room with a separate entrance in a single-story building. In the room there is a washbasin. 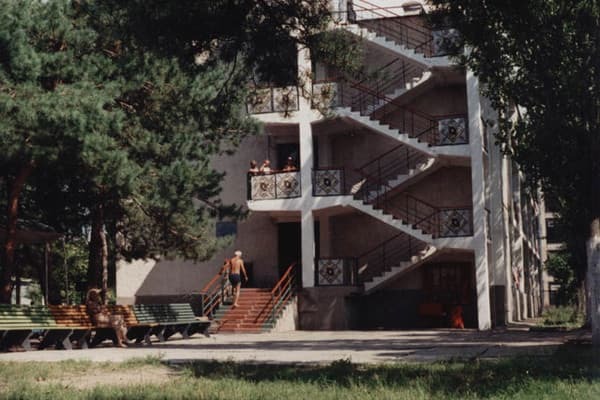 Facilities (shower, toilet) in the territory or in the dormitory. 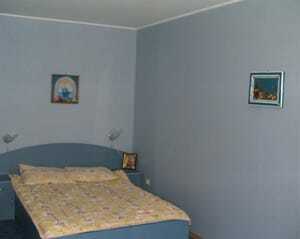 Description of the room: Two-room in a three-story building is equipped with all necessary furniture. Facilities are on the floor, a summer shower in the grounds. 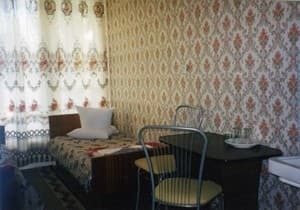 Description of the room: Two-room suite in a one-story building. The shower is hot on the premises. Description of the room: Number is located on the beach. 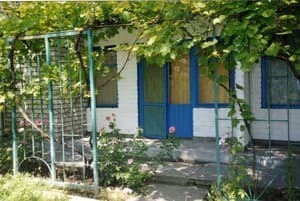 Three-room apartment in 10m from the Black Sea. Maximum occupancy is 6 people. Number of rooms - 3 (bedroom, children's room, living room + bathroom). Children under 5 years, accompanied by 2 adults - free of charge (without meals and seats). Тихе місце (совок в кращому вигляді). Все розвалюється. 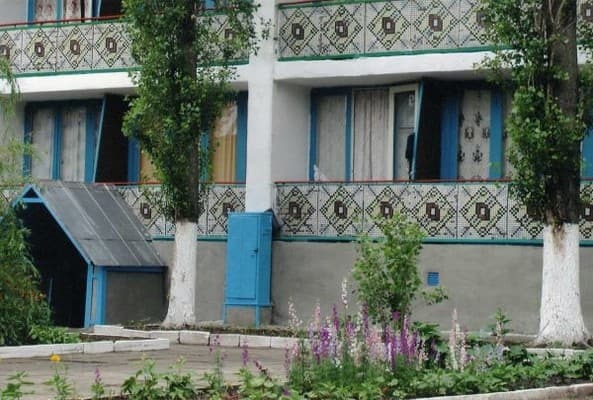 Для не прихітливого відпочинку норм. Домашняя кухня, очень большие порции, замечательный повар тетя Лена. Рядом пляж, магазины, аттракционы. Здание времен СССР, нужен ремонт. Children under 5 years - free of charge (no meals and no seats). 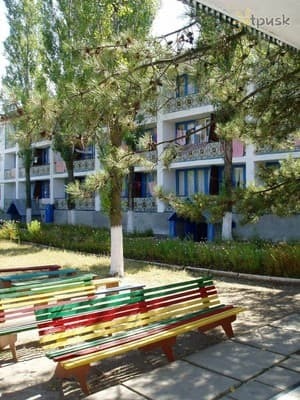 Children under 12 years - 10% (50%) discount on accommodation (depending on the period). For an additional fee in the canteen of the boarding house (3 meals a day), in the bar "Bastion" (on the seashore) - exquisite dishes from seafood. The cost of a 3-off meal is 180 UAH, 2-time - 140 UAH. 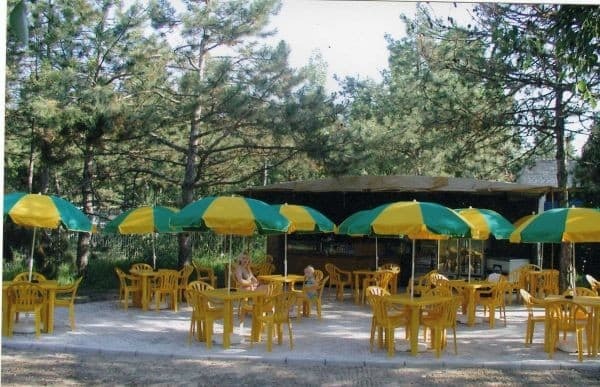 The pension is located in a pine forest 100 meters from the sea. The distance to Nikolaev is 83 km. From the railway and intercity train stations of Odessa city by shuttle bus Odessa-Koblevo.